Danish trade unions and political parties have proposed to earmark a separate pool of money to increase pay in traditional female occupations. One expert calls it a necessary first step, but warns more is needed to get rid of gender divisions in the labour market altogether. For decades, wages in female-dominated occupations have been considerably lower than in male-dominated ones. But this is coming to an end, say a range of Danish trade unions and political parties. They have joined forces to push for real change, proposing an earmarked pool of money to increase wages in low-salary jobs, which typically employ many women. For the first time, trade unions have introduced an equal pay pool as one of their demand for yet to be concluded collective agreement negotiations for municipal and regional employees. They want parts of the wage framework to be earmarked an equal pay pool for low-wage areas. The demand for an equal pay pool has been presented by four trade unions whose members work in female-dominated occupations: BUPL (The union of pedagogues in Denmark), Socialpædagogerne (social pedagogues), FOA (The Danish Union of Public Employees) and Sundhedskartellet (The Health Confederation). Other trade unions representing workers in the public sector have also decided to join in, including the 51 trade unions in the Danish Association of Local Government Employees Organisations. It is still not clear whether the pool will become part of the final collective agreement, and it is also not clear whether such a pool would be enough to close the pay gap. It is an important first step, but more is needed, argues the leaders of BUPL, Socialpædagogerne, FOA and Sundhedskartellet. They have appealed to the political parties in the Danish parliament to also work towards an equal pay pool. “We are taking the first, important step from the employees’ side. But if our daughters are ever to experience real wage equality in the labour market, we also need politicians to take responsibility by taking action to break the trend,” the four union leaders have said. So far, two political parties have heeded that call. In February 2018, the Red-Green Alliance together with The Alternative moved for a resolution on an earmarked pool for equal pay with the aim of securing higher wages in traditionally female-dominated occupations, where pay still remains lower than in comparable male-dominated occupations. One of Denmark’s leading gender equality and equal pay researchers, Lisbeth Pedersen, calls it an unusual situation. 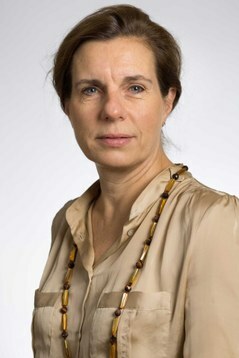 She is head of research at VIVE – The Danish Center for Social Science Research. “Asking parliament to take action in this way goes against the Danish model, where the social partners usually negotiate and reach agreements by themselves. So this is met with opposition both from employers and some trade unions. On the other hand, the state is the employer for public employees, and we have seen political intervention before,” says Lisbeth Pedersen. If an equal pay pool becomes reality, its effect will depend on how the social partners will make use of it, she points out. “In that case, there is no doubt that the social partners will be the ones deciding how the resources in an equal pay pool are to be divided, and its effect will depend on how things are executed on a local level." Wage equality between Danish men and women is rooted in a system for public employees which was introduced in 1969. It set a lower wage level for women’s jobs than for men’s jobs, because women’s wages were considered to be a complimentary income to the man’s income. This is no longer the case, but the wage structure remains because of the wage negotiation tradition to award all sectors the same percentage wage increase. It will also take patience, underlines Lisbeth Pedersen. An earmarked equal pay pool must be in place for several years before results start to show. A one-off pool is not enough. The most important reason behind the gender pay gap in Denmark, is that women are more likely to work in the public sector, where pay is lower than in the private sector. That is why it is important to make the public and private sectors equally attractive for men and women, says Lisbeth Pedersen. She also recommends more openness around wages. “Creating openness around wage levels would also promote equal pay. Many people have no idea that pay gaps even exist in their workplace, and if this became known it would also be discussed,” she says. She encourages all the Nordic countries to work together to focus on equal pay. “Most Nordic countries are better than Denmark at looking into and finding solutions to pay inequality. All Nordic countries can learn from each other’s methods and will benefit from having a dialogue and from challenging each other,” says Lisbeth Pedersen.